LOOOL what about oil ? Nothing ! They produce bombs, they destroy houses, and then, american compagny build a brand new iraq ... this is good for economy, because since Cold war is over, both Russia and USA got an over-sized military complex. For exemple, in the 80's, France planned to buy 1200 Leclerc, then in the 90's, only 400 ! So Tank Factory (GIAT industrie) got a lot of economical problems, I think this happend in USA too, so they need to fight against a new kind of fear, Rogue State ... this can justify high cost military programms, it's a bit to complicate for me to explain, but remember, Capitalist society are better with fear. 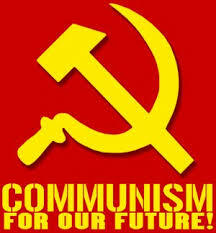 ==In reality, Afghani communist government actually out lived Soviet Union, and idn't complete collapse until 1992. In complete reality, the USSR's military performed exceptionally well given circumstances. In the beginning of the so-called "war" the casualties were as little as a man per three days. A good ratio compared to current American-Iraq occupation statistics. Also, Afghanistan, during the time of the Russian "war" was particularly built up in infrastructure and industry, thanks to Soviet aid. Kabul was actually a splendid city under the Socialist government which was comprised of a palace even, which the Red Army eventually used as the army HQ. So, at this level one could argue that Iraq and Afghanistan of the 1980s were on the same level or at least approaching it in progression. The Soviet Union had done good against the Afghan insurgents and resistors, almost to an extent of over a million Afghan rebels were put to death, whilst only losing at most fifteen thousand troops. However, if we are to look at the American casualty number, we can see that it has already exceeded the very worst year of Soviet casualties, around 2100 soldiers. Both superpowers had the same objective-to occupy the country, with small variants (ie: the Soviet Union was defending a legitimate government, USA is replacing one with another). Another factor to be seen is the United State's involvement with the Afghan-Russo war, in which it supplied the Afghan rebels with weapons such as the "Stinger" missile, and small arms, like the M-16 rifle. To this end we can also see, that other than what foreign Arab resistors bring to the Iraq war, the Iraqis have no foreign aid whatsoever. Putting them at a greater disadvantage. Yet, American casualties still exceed the worst year of Soviet casualties in ten years of fighting. To this end, I would have to say that the USSR is more efficient in dealing with insurgency and rampant rebellion than the United States. Partially due to the emphasis on small arms, light and dependable equipment and to some varying degree better training. Mostly for the water I'd say, a water source for Israel equates to thickly lined American pockets. With all due fairness to the PDAP, they did hail the Soviet Union for increasing amounts of military aid, in which the Soviets honoured. You must remember that the leaders of the United States will not remain so forever, so why would they be concerned with the economy, when it is much more simple to profit short-term to retire to a distant Pacific isle? If George W. Bush has stocks in an oil company, which is deeply inbedded within Iraqi oil wells generating revenue, then the company will still gain profit (think about it, they would not be there unless it was so). So, when the revenue increases and stocks become more profitable, what is to stop George W. Bush to simply sell his stocks prior to his next election? Even if he loses the next presidential election he is still to gain huge monetary assets, as will all his lackeys. Besides, why should the reigning American leaders care what happens to the United States after their departure? Why not make a quick dollar and dissappear into the general wealthy class after you are ousted? Considering the state of both the outstretched American economy and the Republican Party it is doubtful that it will reign victorious in another federal election, so how is it hard to believe that it is individual gain and not the American economy that is in the ruling classes best interests? The Soviets set out to stabilize the Afghan government, and they did just that. Troops moved in, kicked out the rebels and stabilized the central government. But the problem was that they got only 20% of it. The rest scattered all over, almost impossible to find and secure. Fighters for a couple key reasons deterred the soviet military. One, the soviet troops had no training in mountain war combat. They were not used to it. This also meant that their huge heavy vehicles were able to manoeuvre or traverse this landscape. So the feel of their full force was never established. But did this little conflict result in the dispersion of the Soviet Union? No. The USSR performed much better in Afghanistan than the US did in Vietnam, they lost just 13000 men, compared to the 70000 americans in Vietnam. how many people from krasnoyarss ekaterinborg chelbiansk grozny tatarestan.....? can you tell me this statistics and informations ? During the war Soviet Minorities were pushed in the hardest parts while Russians would do less risky jobs, but in the end the afghan war was worse and more soiling to the soviet image than anything. In the Afghan war years was the mutation of the soviet union from a superpower with a high idealogy to simply a superpower. What about those from the Baltics, such as Lithuanians, Latvians or Estonians? Were they trusted to serve in Afghanistan and did they also do more rough tasks? Oh I see. Thank you for this information. Sadly I cannot go to your uncle as he is in America but would be fascinated by what he has to say. Navid, from that list it is quite surprising the number of Baltics killed in that war. From my understanding the Soviets never trusted their Baltic republics because they were vehemently nationalistic so it is surprising they sent them to Afghanistan to fight. I read a very interesting article about how many Russian soldiers switched sides, converted to Islam and fought with the Mujahideen. hi please help me to that very interesting article you read about how many Russian soldiers switched sides, converted to Islam and fought with the Mujahideen. The Soviets lost the Afghan War because of the US massive aid to the mujahedeen terrorists. Even after the collapse of the USSR, the only reason why the mujahedeen ultimately won the war is American aid, nothing else. (the ruskie yaziek up top for friend in Nhisni-Novgarad. I have people that dont speak ehnglish . That at top is not cyrillik for russian speaker. I wish you support the russian alfebet so russians can post on site about My homeland and the land i fight for in 1986. The moderators/administrators don't speak russian so they can't enforce the rules if someone speaking russian breaks them. It's unfortunate because we need more international comrades like you. With that list of nationalities who served in the war, were those people actually of the ethnicity of the country listed or were they Russians living in different Soviet republics? The Soviet-Afghan War was justified, The Democratic Republic of Afghanistan begin to take shape after The Saur Revolution. not just the men. They gave farmers more land rights, Also they OUTLAWED forced Marriages and raised the age of Marriage. Women were free to choose what they wanted the wear. against the repressive force of Islam. This group called the "Mujahideen" wanted to reclaim Afghanistan and declare it as a Islamic State. This is when the PDPA asked the Soviet Union for help fighting against the fundamentalists. (Almost 10 years) Soon after the Democratic Republic of Afghanistan turned into The Islamic State of Afghanistan, the reforms on Education and Women's rights were over turned and replaced with Sharia Law. they are fighting against them. against the Mujahideen, and the whole middle east would be a better place then it is now. Thanks for reading this long post, but I pretty much covered everything. Are any here any people who reads russans books? And of course, he'd been to Afganistan. The invincible Red Army wasnt able to defeat resistance fighters. Well in a way they didn't need to. They were able to maintain control of 80-90% of the country. Like now, the armed gangs just stayed in the mountains and occasionally came out to raid. That's it.